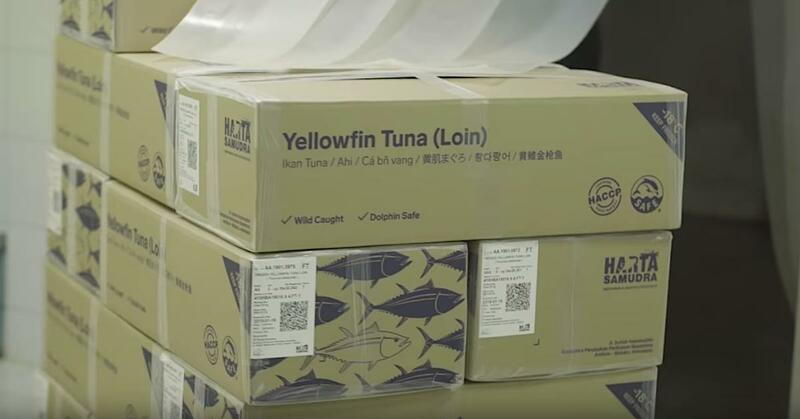 Bumble Bee Foods is now using SAP’s blockchain cloud platform to track yellowfin tuna, enabling anglers, buyers, pre-processors and canners to track the movement of fish from origin to packaging via a transparent, real-time supply chain platform. The data is available by scanning a QR code on the packaging. The first company to use SAP's Cloud Platform Blockchain, Bumble Bee was able to roll out the tracking system in about three months, enabling it to store shipment data and create a tamper-proof supply chain history. The blockchain platform, announced March 8, also allows consumers to scan the QR code and see information on where the fish was caught – and the journey it took on its way to the store. The new traceability feature using SAP’s blockchain is specific to Bumble Bee Foods’ Natural Blue by Anova fair-trade certified ahi tuna steaks, which is currently supplied by two companies representing about 5% of the supply chain. Bumble Bee is currently onboarding a third tuna provider but eventually plans on placing all of its suppliers on the blockchain. Bumble Bee CIO Tony Costa believes more companies will go the same way as food traceability and transparency becomes more important to suppliers and the public. For example, Walmart has rolled out blockchain to track its produce shipments and Maersk has done the same to watch as cargo traverses the globe. The following are excerpts from a Computerworld interview with Costa. When did you go live with SAP’s blockchain for supply chain tracking? "We’ve been putting QR codes on the product since the middle to end of January." What system were you using before to track tuna shipments? "We’ve been doing traceability for a long time. We’ve considered ourselves leading in the industry. If you look at our website today, all our bumblebee branded product [is traced]. We use a traditional database... to provide consumers and retailers the ability to track by [tuna] can or package [bar] code. "This is Anova-branded Natural Blue [seafood-branded] packaging. That’s where this all started. We acquired [frozen food company] Anova about four or five years ago. I was on this journey to figure out how to roll their product into our traceability matrix in addition to looking at the supply chain. That’s when it became pretty obvious to us we had a great opportunity to leverage blockchain on this portion of our business for doing traceability." A QR code on a mobile phone used for accessing data about tuna shipments. Why just this portion of your business? Can’t it translate to other products? "Oh, 100% yes. We feel it's applicable to everything we do. For us [it was] just to take this as a learning opportunity, especially as a piece of business that we hadn’t implemented full traceability for the consumer – only internally. But that’s when we went into this co-innovation project with SAP with the understanding that once we got this figured out, we’d then obviously focus on the rest of our brands and migrate that to the blockchain technology." How many of your tuna suppliers are currently part of the blockchain ledger? Right now we have two and we’re adding in a third one as we speak, all within Indonesia, all providing the loins to our business. And that continues through the supply chain to the finished good third party manufacturing." What lead you to adopt blockchain. Was there a watershed moment where you said, 'Aha'? "I think...the technology has been over-hyped, but it has a value proposition to it. What we came across, when we were looking at traceability, is it’s the perfect use case when you talk about tracing a piece of fish from Indonesia to a retail store and providing that information to the consumer. It’s the perfect scenario. We didn’t really look at this like we’re going to go do a blockchain project as much as we were going to continue our industry leadership around traceability and transparency ... and then we also wanted to leverage the latest and greatest technology in blockchain." How difficult was it to integrate your legacy systems with SAP’s Cloud Platform Blockchain? "I think that’s the best part. When you look at blockchain it creates that layer of independence. So, if you look at our supply chain from the fisher to the buyer to the pre-processor to the finished goods, those four steps in Indonesia, we own zero percent of that supply chain. Now it becomes an integration project. So, working with the loin factories, which is the pre-processor and the finished goods, we work closely with the NGOs and the systems in place in the lion factories to create that integration. That takes us out of the middle. Today, a lot of companies will take that information, they’ll massage it and transform it and extend that to the consumer. This [way] we just open the blockchain to the different participants and it gets rendered." A young boy in an Indonesia fishing village that supplies Bumble Bee with tuna holds a tablet. So, what technical integration was required between your legacy supply chain database and blockchain? "The beauty of this is we bring the business expertise and SAP brings the technology expertise. We’re talking about best-in-class blockchain technology that they helped us create the interfaces, create the standards and work with third-party partners to help define the integration." How long did the integration take? "We kicked this project off in September 2018 and we were in pilot mode in December and we were up and running in full production by the end of January, early February. Pretty fast. "For us, we’ve been looking at this for a while. Blockchain technology…, it’s been around for a long time. For us we always felt like we had something special because [we] have such a great relationship with our entire supply chain in Indonesia. So, the biggest challenge is working with them to share information and get it integrated. Once we decided to move forward with SAP, we already had a good idea we could accomplish that pretty quickly." Since going live, how does SAP’s blockchain compare with your previous supply tracking system? "For us, the best part for us is we were able to consolidate all that disparate information in one place and leverage that throughout the blockchain. Typically, the fisher sells the fish to the buyer and they hand it to the pre-processor and then to the finished goods and it was a one-way street of information. Now, we put all that on the SAP analytics cloud and we can share that using permissions for the preprocessors or the buyers. 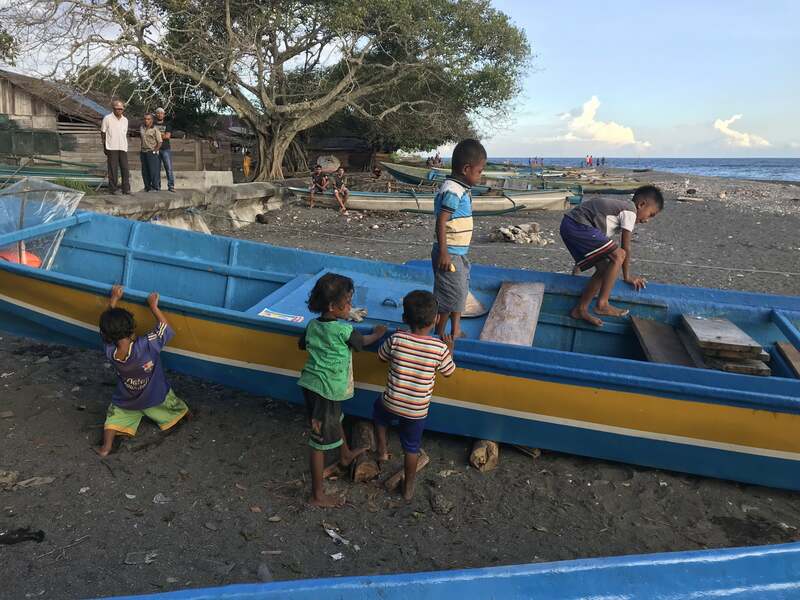 Now think about it: you have these independent buyers in remote islands of Indonesia who are able to look at how much fish they bought from this village and each individual fisherman; they can look at trends and performance over the last week, last month, last year. The capabilities of where we see this technology going is just scratching the surface now." The point of origin readout once the QR code on the product packaging is scanned by the consumer. So how does a fisherman or buyer get onto the blockchain ledger? "I’ve been very sensitive going to these remote regions of the world and introducing too much technology. The last trip we were there about eight weeks ago, we’re sitting there and the whole village is out and the fishermen are coming in with the fish and there are two kids – probably 19-years-olds, a boy and a girl – and they’re literally holding computer tablets. The boy showed us his tablet, he’s running Minecraft and he’s building boats with this application because he says he likes the challenge. "If you look at it from this perspective, technology is already there. That generation will be the next generation of fisher. So us introducing that technology is just a natural progression. "Everybody has a phone, whether it’s a smartphone or not. When you’re talking about the buyers, the idea is to make sure they have a tablet or some form of smartphone going forward. As we adopt more technology and get it out there, that’s the idea. 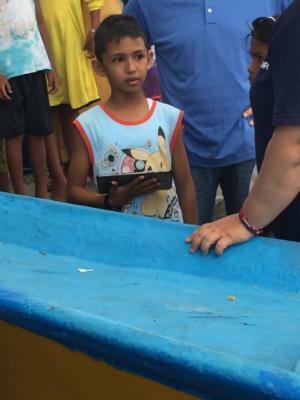 We’ve worked very closely with the Indonesian government, the Ministry of Fishery, the NGOs. They are investing amazing amounts of money into technology within the region. "We talked about these lion factories – the pre-processors – the systems they’re running have been developed by the NGO and they’ve been funded by the Packard Foundation, the Walton Foundation and so many people are looking for areas to invest and all around the topic of food safety, transparency and sustainability. There is funding and interest in funding around the industry." So what does the user interface look like and how does it work? "It’s all a QR-code, barcode-driven and developed by this NGO. 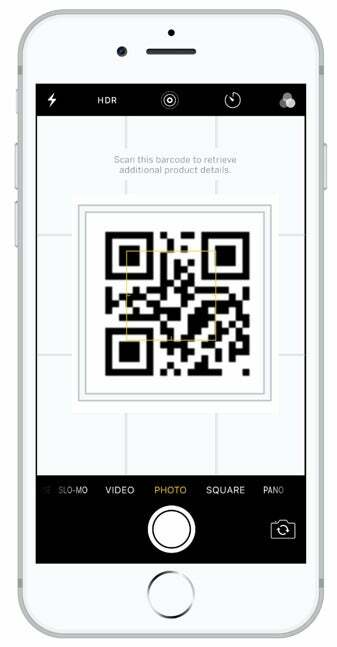 From the time the supplier takes it to the pre-processor, everything is QR-code tracked. We track every piece of fish from the fisherman until we get the finished goods. And when we get the finished goods, we will produce it from the level of an island just to make it more simple. But all that data is still there, for anyone from the fisher all the way to the finish good to user to help drive more efficiency within the supply chain." Children gather around a typical boat used for catching tuna in the waters off Indonesia. Are you concerned that as the amount of data grows on the blockchain ledger it may slow down or become overwhelmed from a performance perspective? "That was always on the forefront of our thinking when we designed this. If you think about tracking a piece of fish, you don’t really need a whole lot of data – from the species and the date and the different transactions throughout the process. So we’ve gone through minute details to make sure we kept the blockchain part very small and then have referenceable data outside the blockchain." So, the principle data is stored in a conventional database? "Absolutely." Tuna loins with QR-coded labels that can be scanned to bring up tracking history information on the blockchain. Are you considering moving other products shipments onto the blockchain platform? "100%. We’re in the requirements phase for moving all brands onto blockchain. "I’m being very cautious, but we feel like have a great head start on that because we have defined all the elements and we’re already producing that and providing it to the consumer. So, we’re taking an aggresive approach and starting that in 2019 and hopefully we’ll have a lot of that done sooner than later. "Our goal is to have all our products on blockchain, 100%." What was the cost to deploy the blockchain network and integrate it with your legacy systems? "We don’t talk about cost. We’re focused on the co-innovation of it with SAP. We don’t get into the cost aspects." Can you say whether it’s more expensive or less than using a conventional databased to track goods on your supply chain? "I think it’s very comparable. And it’s different. You’re migrating to all cloud and license-based solutions versus investing in any software-based or platforms and so forth. I think you’ll find it’s a very comparable investment." Your legacy supply chain tracker, was that cloud or on premise? "Everything we do here is on the cloud for the most part. We’d capture a lot of that information in our internal databases but then extend it to a cloud version for the consumer." Was your internal database from SAP as well? "Part of it is and part is not. It’s a custom, homegrown solution we put together to extend it out to the consumer."